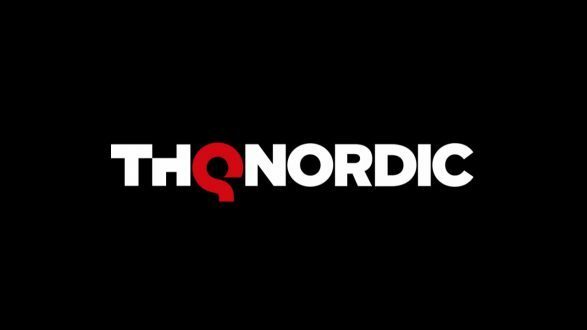 During E3 2017, DualShockers? 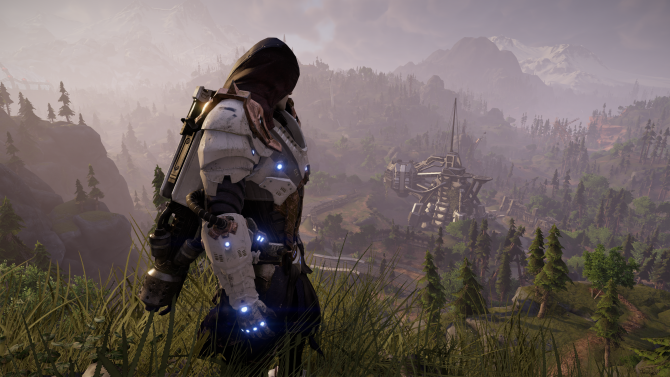 staff writers Logan Moore and Tomas Franzese had the chance to check out a hands-off presentation of the upcoming RPG ELEX, which mixes both sci-fi and fantasy elements together with a touch of Dark Souls-like combat in an intriguing world. 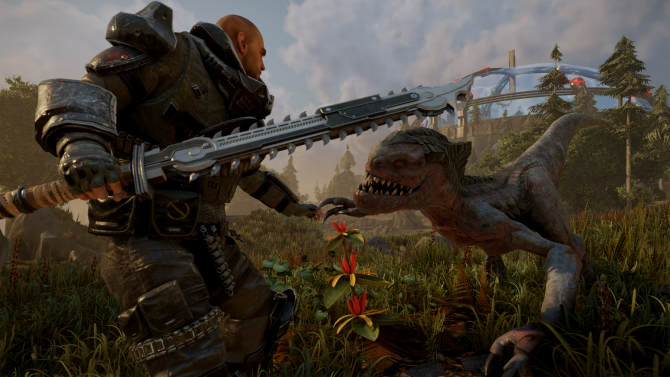 For a closer look into the game, you can read on down below as Logan and Tomas share their thoughts on the title and what to expect from the unpredictable world of ELEX. 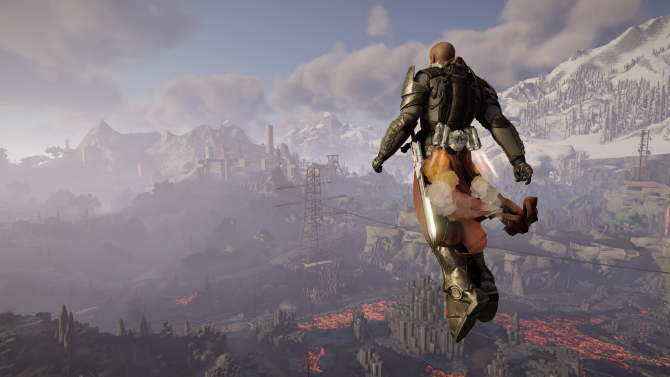 Logan: Tomas, you and I were both able to check out ELEX, the new open world sci-fi/fantasy RPG from Piranha Bytes and THQ Nordic in a hands-off preview at E3. How?d you feel about it from what we saw? Tomas: I think it has a ton of potential. ELEX?s world seemed very large and dynamic. The game looked pretty nice, and the lack of loading screens seems like it will make the game very immersive. It?s also dynamic in the sense that it looked like most of the NPCs could die, which would shape the path of certain quests, which seemed really cool. Logan: Yeah, I really liked how the NPCs just live in that world naturally and they don?t have any set patterns or routines. My only concern would be that they would then somehow die and ruin certain quests, but it seems like the guys at Piranha Bytes are aware of that potentially being a problem and they won?t let the game break itself. Out of everything I saw though, the one thing that stood out to me was the world of ELEX. I really like this part-science fiction, part-fantasy world they?re going for. The developers told me that mixing those two genres has been really fun for them and has given them a ton of creative freedom. The one thing that stood out to me was the world of ELEX. I really like this part-science fiction, part-fantasy world they?re going for. Tomas: It did look like an interesting mix. As a fan of both sci-fi and fantasy, it was cool seeing the two spliced together, as that is surprisingly not done very often. The melding of those two genres also seems to be reflected in the gameplay, as all of the game?s different factions function slightly differently, ranging from being full-on sci-fi to full-on fantasy. Logan: I thought the variety of different factions looked really cool. That was another aspect of the game that they really took the time to go deep on. For those unaware, ELEX within the game is a resource that people use in a variety of ways. To some, they may utilize it to create laser-based guns, while others have used it to craft armor and powerful hand-to-hand weapons. The factions in ELEX seem to center around the ways in which they use the resource. At some point in the game?s story, it sounds like you?ll have to align with one of the major factions in the world. I asked if you could remain neutral throughout the entire game, but the developers made it sound like that at some point, you?ll basically have to join up with a group. All of the game?s different factions function slightly differently, ranging from being full-on sci-fi to full-on fantasy. Tomas: Using ELEX also gives the player character access to new more powerful attacks, though at the cost of ?corrupting? your character. One thing that worries me about this game is that there doesn?t seem like much of an incentive other than a ?good ending? to play the game without the ELEX powers, as not using them would just limit one?s gameplay experience otherwise. ELEX?s combat also looks interesting. It is yet another Dark Souls-inspired affair, with players having to methodically dodge enemy attacks and strike at the right time to be successful. The game did seem pretty tough, as enemies don?t scale with the player, meaning if you wander into a certain area too early, you?re toast. Logan: Yeah, I?m a bit worried about the morality system. Again though, I asked the developers about that and they made it seem like it would be less of a “Paragon and Renegade” system, and instead the character?s decisions would be more like shades of gray — similar to a game like The Witcher 3: Wild Hunt. The decisions you make aren?t necessarily good or bad, they?re just decisions. The one other thing I think worth mentioning as far as utilizing ELEX goes is the jetpack. You have one at your disposal at the game and I think it?s something really unique for an open world game of this kind. It gives everything a greater sense of verticality which is something I can?t really think of other games in this genre doing. The decisions you make aren?t necessarily good or bad, they?re just decisions. 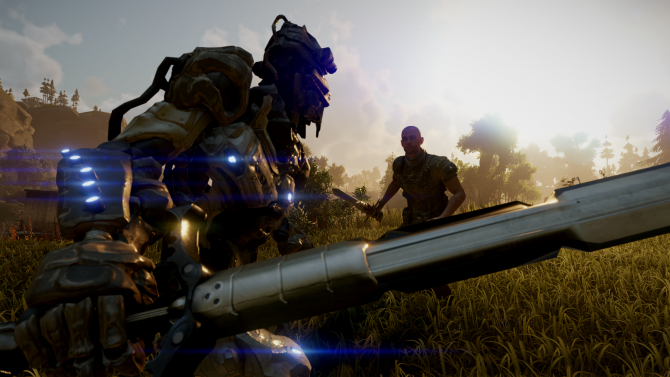 Tomas: ELEX definitely seems to be taking many elements from other games within the genre, but is adding its interesting sci-fi/fantasy flair on top of it, which I think will make the game stand out. Logan: I think if I had any issues about ELEX, it would be that I feel like we?ve seen this kind of game before. 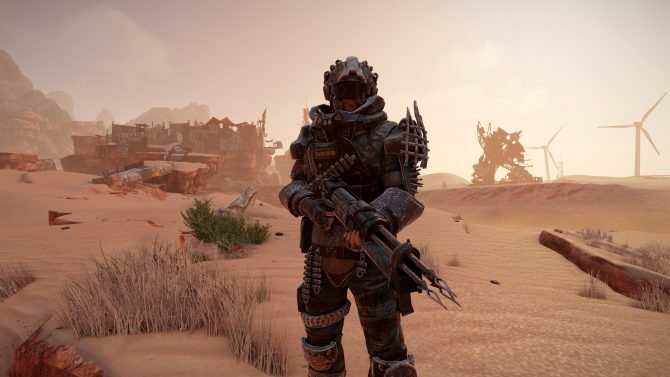 A lot of the mechanics and gameplay elements of ELEX, while cool, are also a bit rehashed. Games like The Elder Scrolls V: Skyrim were pulling some of this stuff off back in 2011. I think the world is what is going to help set this apart though, so as long as it is as immersive as it seems: then I think it has a place within the current landscape. 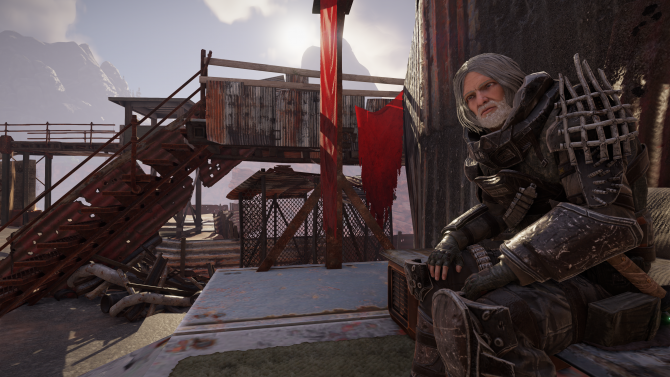 ELEX definitely seems to be taking many elements from other games within the genre, but is adding its interesting sci-fi/fantasy flair on top of it. Tomas: Its setting is definitely what sets it apart from the rest, but if it can refine and nail those elements that it is taking from other games, it will be ton of fun. The world, factions, and ELEX powers look really cool, so I hope that Piranha Bytes takes advantage of those elements and is able to put out a really solid RPG with an awesome setting. ELEX releases later this year on October 17th for PS4, Xbox One, and PC. 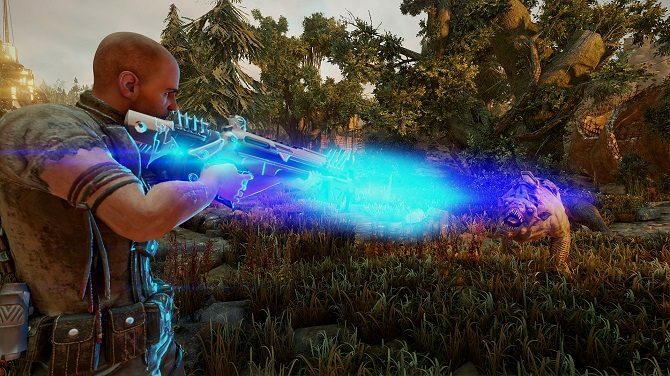 ELEX Launches on PC, PS4, and Xbox One tomorrow, so the game has received a launch trailer showcasing the world and factions to celebrate.